In the course of this research, Damian’s looking for ingredients and recipes that’ll hold their own against the strong flavors imparted by barrels full of liquor. After all, you can’t just throw any damn beer in a barrel; you have to do it with an eye toward quality and consistency. So, please, Folks. Come on in and taste the beer. Tell us what you think. Taste it again. DISCLAIMER: Don’t let words like “experimental” or “research” throw you off; Damian is an accomplished, classically trained brewer of stouts. His experiments are damn fine beers and we’re proud to stand behind them. With Patagonia black malt, some chocolate malt, Irish pale malt, hops from the UK, and our house ale yeast all contributing to Death and All His Friends, you might pick up on flavors and aromas of chocolate, leather, tobacco, and smoke, plus a dark roasty character and a nice, dry finish like the piano melody in a Coldplay song. Oh, and from the barrel — where this beer aged for 90 days — look out for traces of rum, vanilla, and maybe a little raisin, too. Kegged in early February, we’re itching to tap this one Thursday Feb. 24 at 4 p.m., only at the Summit Beer Hall. And consider yourself warned: “This beer’s approachably strong,” says Damian, “but it’s got the half-life of plutonium.” We have no idea what that means, but we’re not gonna wait to find out. 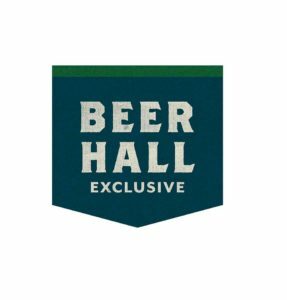 BE ADVISED: Summit Beer Hall Exclusive: Death and All His Friends is going to be on tap only Thursday, Friday, and Saturday, Feb 22–24. That’s it. If you don’t get a taste before closing time Feb. 24, you’re not getting any. Created and brewed on our small pilot system, this Summit Beer Hall Exclusive was made by Head Brewer Damian McConn with a handful of new and experimental ingredients that we thought just might hold t heir own in a freshly emptied rum barrel. But you should taste it for yourself. By nature, small batches like these won’t last long. If you miss one for some reason, you’ll be S.O.L. until our next Beer Hall Exclusive comes around. Sorry, that’s how this works. Tapped Thursday, February 22, at 4 p.m.
*WHO KNOWS WHERE THESE EXPERIMENTS WILL LEAD?? ?